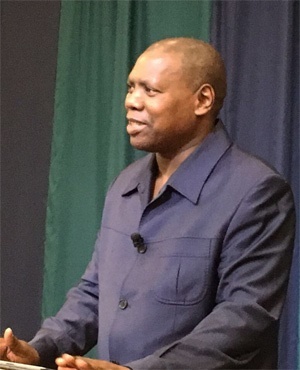 Minister of Cooperative Governance and Traditional Affairs Zweli Mkhize has told Parliament's Standing Committee on Public Accounts that whether or not municipalities owing Eskom money repay their debts, their payment structures must be reviewed. Mkhize briefed Scopa on Thursday morning, the day after ten municipalities struggling to settle their Eskom debts briefed the same committee on why they had failed to pay up. Among other things, Mkhize suggested Eskom could stop imposing scheduled power interruptions to defaulting municipalities. The inter-ministerial committee he leads is making headway in addressing the issue, he said. Municipalities currently owe Eskom well over R13.5bn, and the top ten defaulters owe the power utility over R9bn. Municipalities have their own debt collection challenges, as the country's councils are owed a total of R139bn by households, businesses and government departments. Municipalities on Wednesday complained to Scopa of various challenges. These include their inability to bill electricity consumers and collect from them, residents trying to defraud the council through ghost vending, communities threatening violent protests when billed, and rapidly increasing interest on debt to Eskom. Mkhize told the committee that 40% of the debt from serial defaulter councils came from the Free State, such as the Maluti Maluti A Phofung Local Municipality, which is currently under administration. "The structure of the debt has capital and interest considered. The maximum demand issue, interest and the penalties introduced from there are a challenge which needs to be addressed," said Mkhize. Eskom traditionally gave municipalities 15 days to pay before charging interest on the debt, while municipalities gave end consumers 30 days to pay before charging interest, making collection and debt repayment unsustainable, Mkhize said. Municipalities were in a "debt trap", he added. "Those that were in Parliament yesterday, I don’t see how they can get out of their debt situation. It would have to involve prescription of debt and restructuring the debt in various ways," he said. Many municipalities were struggling as most of them were, by design, unviable, he said. This was because they had no revenue sources outside of bulk services and even then, had no reliable revenue collection mechanisms. "The Inter-ministerial Task Team has set up an advisory panel that will set up these issues. We have asked them to look at issues better. "We try to encourage Eskom not to discontinue services, as it makes the challenge more difficult. We asked municipalities to pay as much as they can," he said. Even though he believed Eskom's scheduled cut-offs were not a solution to the debt crisis, municipalities needed to take the power utility's plight seriously, Mkhize said, as its potential failure presented the single largest risk to South Africa's economy. It was "not just a challenge of Eskom, or municipality or Treasury", he said. "Eskom has R350bn debt exposure that must be serviced continuously, and it is important to defend its creditworthiness." Mkhize’s proposals on the restructuring of debt and payment systems between Eskom and municipalities were in line with ideas that local government leadership presented to Scopa on Wednesday. During Wednesday’s meeting, Matjhabeng municipal manager Thabiso Tsoaeli suggested that if the municipality were given the authority to collect directly from mining companies in the area, instead of Eskom, the municipality would have a steady flow of rates revenue with which to service their debt. "We have mining houses directly supplied by Eskom. If we supply as a municipality, we would have enough cash to address our financial issues. We would like to put that on the table and assess whether we can benefit from the cream that Eskom gets," said Tsoaeli. Among other concessions made with municipalities, Eskom has agreed not to charge interest on debt 15 after invoicing, and agreed to skim the interest off the debt it was owed, provided municipalities honour their payment plan commitments.